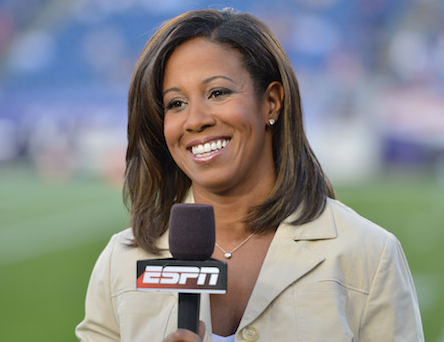 Gracie Award winner Alisia Salters is an American sports journalist as well as a reporter at ESPN who is popularly named as Lisa Salters. Salters has covered news related to sports from several major sports events. She is a former women’s basketball player and she has reported for the NBC affiliate in Baltimore, WBAL-TV. Previously, she contributed to national and international news from African countries like Somalia and Rwanda. Now, she is a sideline reporter for ABC's coverage of the NBA and ESPN's Monday Night Football. On 1966, March 6 She was born in Pennsylvania city of United States of America. A high school graduate from Upper Merion Area High School, she attended Penn State University. She is a graduate of broadcast journalism from Penn State University. She has not revealed information about her family. Charming Salters has many interests, including travelling. Along with this, she spends time with her adopted son, Samuel when she finds free time. Former collegiate women’s basketball player Salters initiated her career in journalism in the year 2000. Joining ESPN as a general reporter, she went on to work for the network ABC later on. Lead reporter on ABC’s NBA telecasts, Salters was entitled as the sideline correspondent for ESPN’s show ‘Monday Night Football’ in April 2012. Presently she is working as the correspondent on ‘E:60’, a ESPN news magazine. Before becoming part of ESPN, she worked as a correspondent in Los Angeles based ABC News for five years. Her news coverage of the crash of TWA Flight 800, Oklahoma City bombing trial, the Matthew Shepherd murder is considered remarkable. She worked alongside Peter Jennings for ‘World News Tonight’. Since the year 2005, she has covered news and events for NBA. She even worked as a sideline reporter for ABC’s Saturday Night Football games for five seasons. Working alongside analyst Jon Gruden and commentator Mike Tirico, Salters provided live reports for weekly MNF games during ESPN’s Monday afternoon shows. Salters has been a part of the popular award winning series ‘Óutside the Lines’ at ESPN. ESPN reporter at the 2002 FIFA World Cup held in Japan and South Korea, she reported the 2006 Winter Olympics Games in Italy. Furthermore, she was reporter in the 2004 Olympic Games in Greece. During the season on 2006 NBA Finals, sportscaster Michelle Tafoya was on maternity leave which provided a chance for Salters to host the finals. She even contributed to the NBA on ABC in 2006 as a part of the network’s coverage. Along with this, she did sideline reporting in the finals of NBA in 2007 through radio. In her journalism career, Salters has provided news related to the US Central Command in Qatar for ESPNEWS, SportsCenter. Known for her excellent reporting, she went in the war zone and reported live from a US Army base, Camp Arifjan in Kuwait in 2004. She is very talented Journalist and Reporter. Journalist Salters has accumulated net worth of USD 2.5 million in her life. Her annual salary is assumed to be USD Two hundred thousand. She has hoarded significant amount due to her achievements. Her sponsorship amounts to USD fifty two thousand. Salters is not involved in love relationships. She is single as of now but has adopted a son and named him Samuel Salters. No acute information regarding her marriage and husband has made headlines yet. 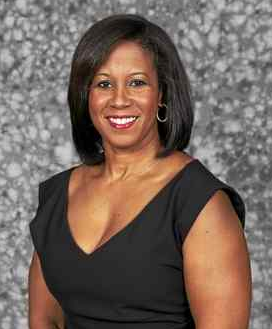 Three Timer Emmy nominee Salters has been able to earn accolades in her career due to her creative skill and talent as a sports broadcaster. She received nominations for the Sports Emmy Awards in the years 2013, 2014 and 2015 under the category ‘Outstanding Sports Reporter’. She was honored with a Sports Emmy nomination for the 2008 ‘Ray of Hope’ story and a Gracie Award for best feature in the year 2009. Broadcaster Salters traveled to Haiti when the country was hit by earthquake in 2010 for reporting a story on the Under 17 national women’s soccer team. She has been recognized for her amazing skills in news coverage. Her social media accounts have been followed by millions of her fans. More information on her can be obtained from ESPN.com and Wiki. She is very famous worldwide.